Having just returned from a week in Scotland, it always amazes me how many people I talk to who have never been to Scotland. The general feeling seems to be that it always rains in Scotland, and it takes a long time to get there. However the weather can be (and often is!) 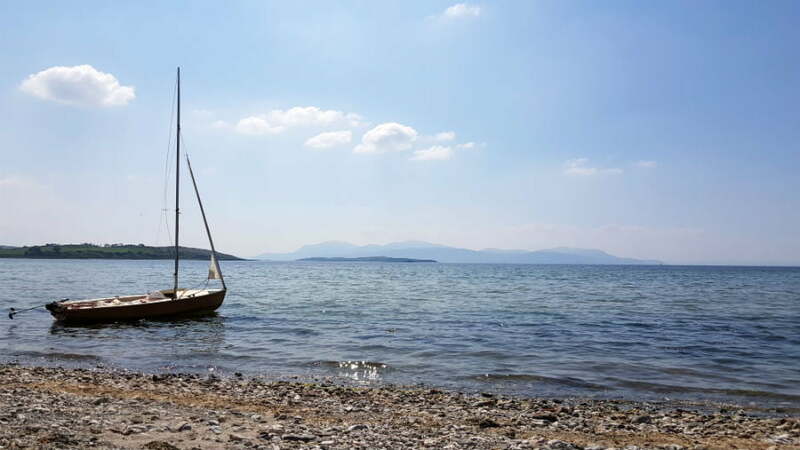 gorgeous in Scotland – and when it is, I can’t think of a better place to be! We stayed in a cottage near Largs, a seaside town on the west coast. 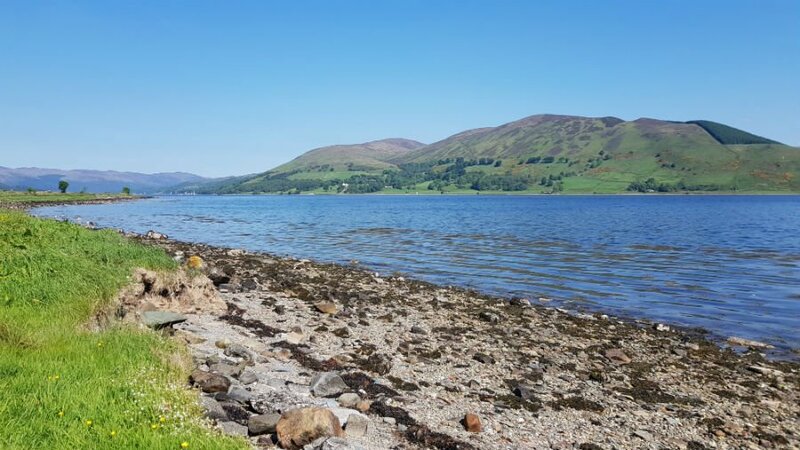 Largs is in an ideal location to explore the islands of Arran, Bute and tiny Cumbrae, as well as Loch Lomond in the north. Each of the islands is very different, and has loads to offer families, but the good thing about them is that they are all really quick and easy to get to from the mainland. Read on to discover more about 3 magical Scottish islands to take toddlers. Let’s start with the biggest island…. 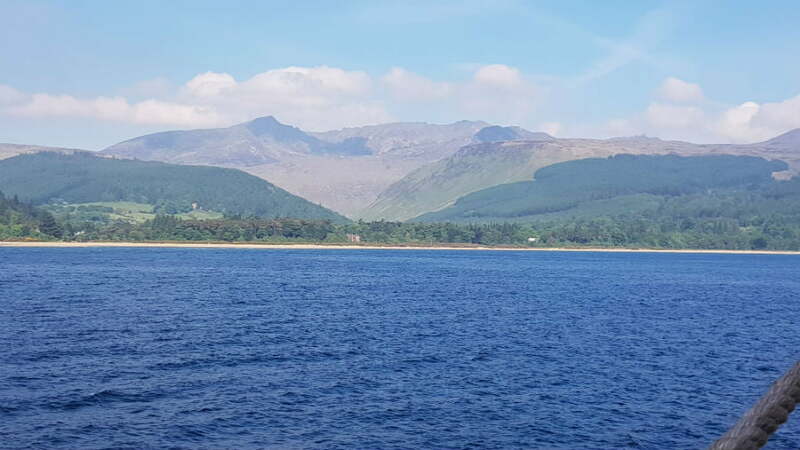 The Isle of Arran is 56 miles in circumference, and an easy 55 minute ferry journey from Ardrossan on the mainland. 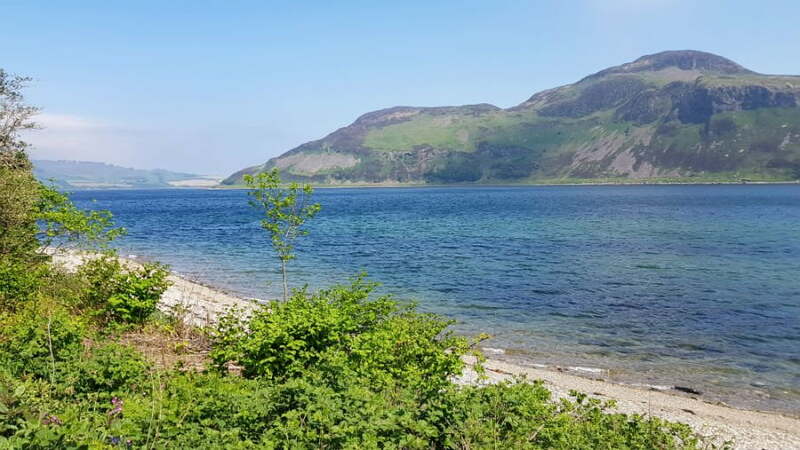 You can reach anywhere in Arran within a half an hour’s drive so you won’t need to spend a long time in the car when you get there. 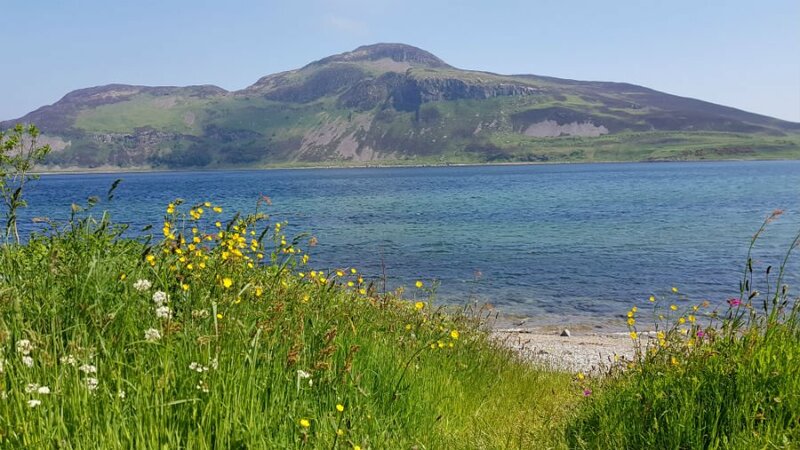 Known as a Scotland in miniature, the Isle of Arran has the Highland fault line running through it, so has mountains in the north of the island and beaches and rolling hills in the south. 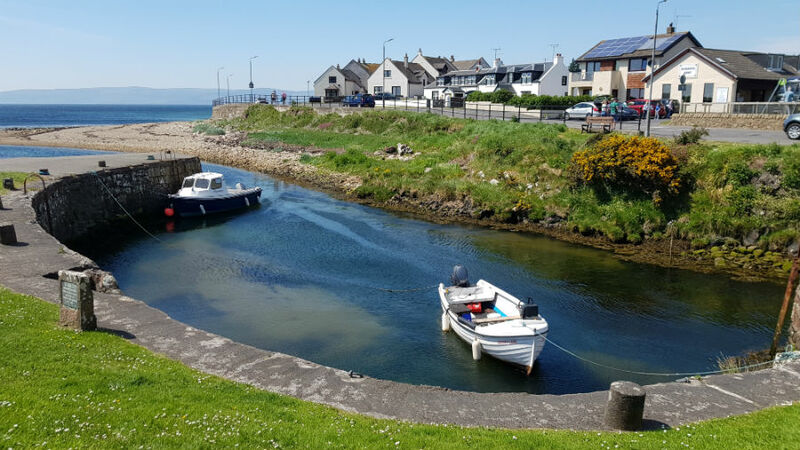 There are castles, secret beaches, museums, walks, stunning sea views and loads of wildlife on the Isle of Arran so you can really pack a lot into a day trip. We picked up an Isle of Arran visitor magazine on the ferry on the way over, and then followed the main road around the island stopping off along the way. In fact, we only covered about half the island in one day as we kept stopping off, so came back a few days later to see the rest of it! Ferries to Arran arrive at one of the main villages on the island called Brodick. 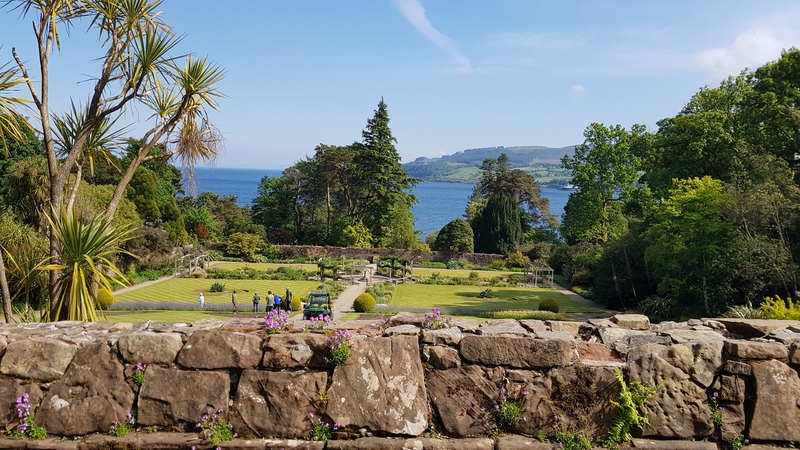 From here you can head round the bay to Brodick Castle, which is owned by the National Trust For Scotland. 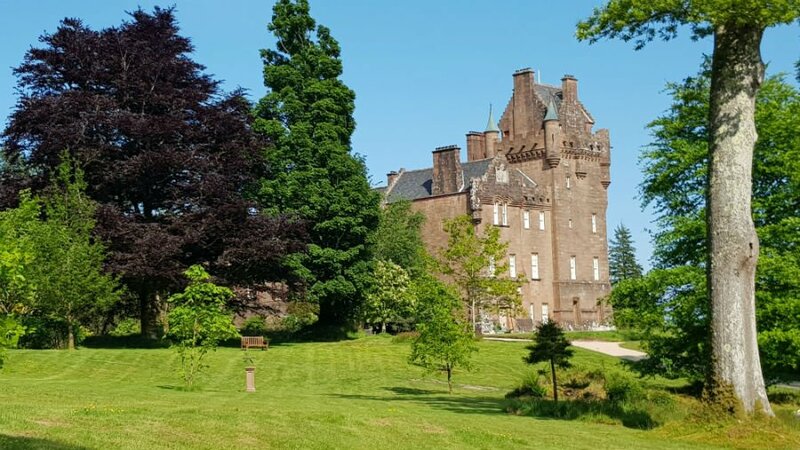 The castle itself is closed until 2019, but the grounds are well worth a visit and a run around. 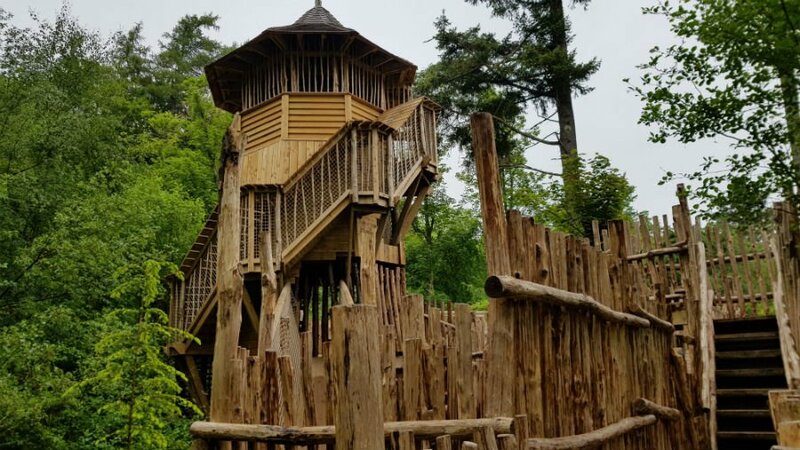 There are woodland trails, sea views, waterfalls and best of all – a brand new Isle Be Wild adventure playground. This amazing playground has a separate toddler area, little shop selling snacks and drinks and a seating area. 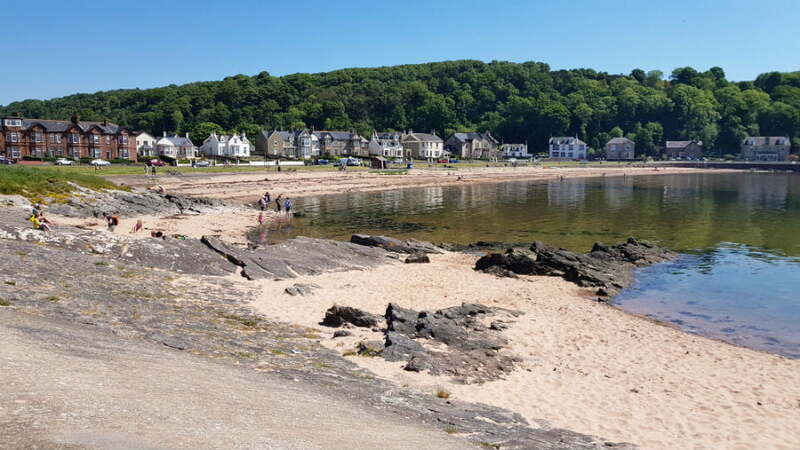 If it’s warm and sunny, you will want to head to one of the sandy beaches on Arran. 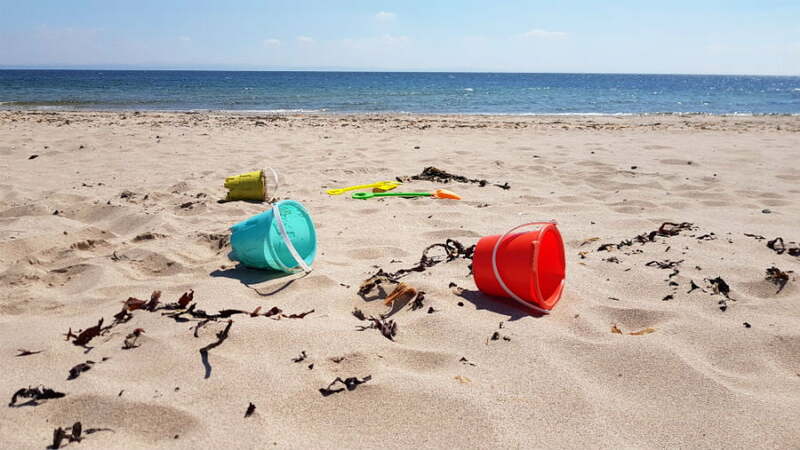 There are some great beaches for toddlers on Arran. Strabane is just north of Brodick where the ferry arrives into. 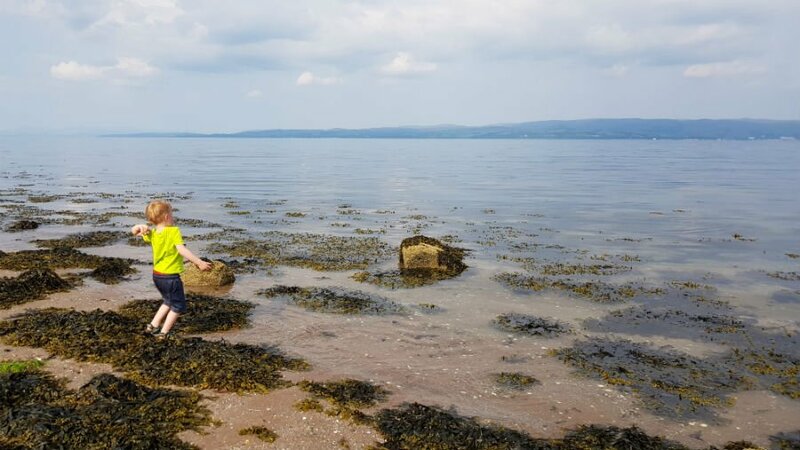 Sannox beach has stepping stones to get there, which toddlers will like, and Blackwaterfoot Beach is really long. 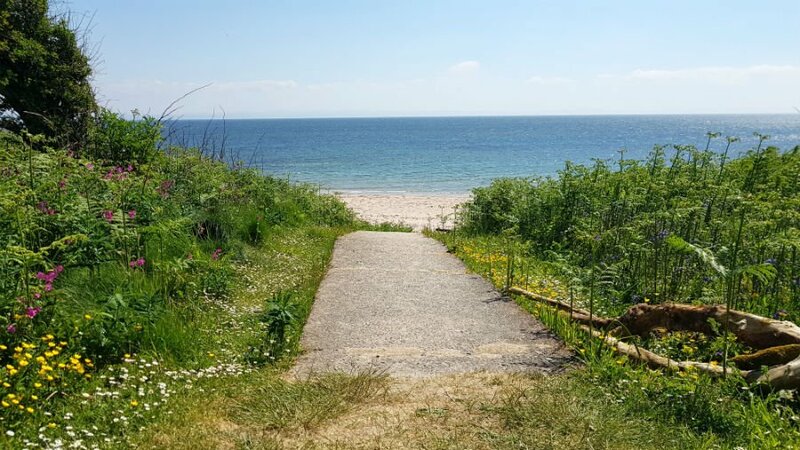 Kilmory Beach is a secret beach accessed via a farm track at Torrlinn, and Silver Sands at Kildonan is one of the most famous beaches on the island with views over to Ailsa Craig. If it rains, head to the Arran Heritage Museum with hands on activities for toddlers to get stuck into. Tommy’s Tractor is a particular favourite, along with the Children’s Hut, feeding the ducks and a 1940’s school room. 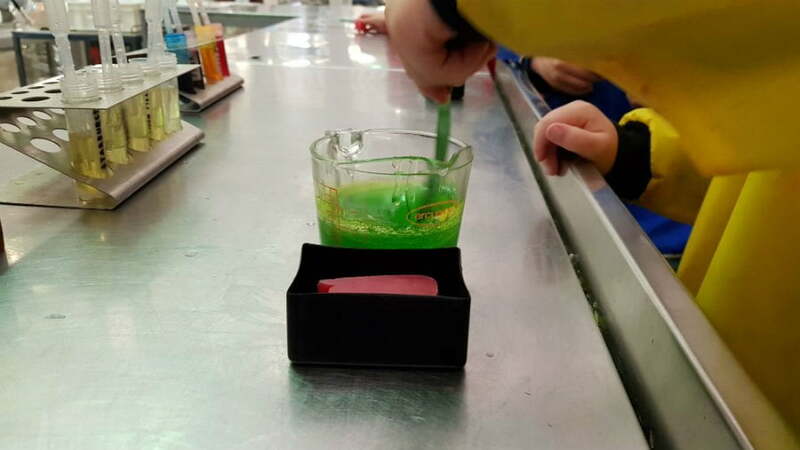 Another rainy day option is to head to Arran Aromatics to have a go at making soap or candles – my children loved this! Don’t miss a trip to Janie’s Tea Room which is next to Arran Aromatics in Brodick. They serve delicious home make cakes, coffees, light meals, and snacks and there is a small play area for children too. The luxury Auchrannie Resort comprises of two 4* hotels, thirty 5* luxury lodges, 3 restaurants, 2 leisure clubs and a new children’s Playbarn. 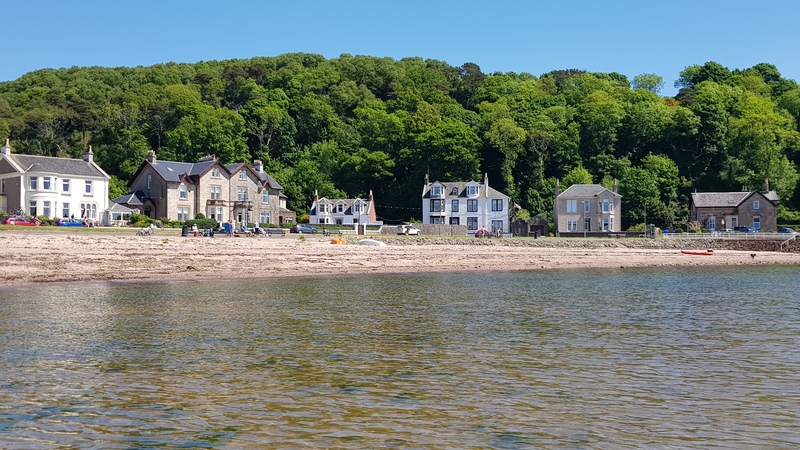 The resort is just 5 minutes drive from the ferry terminal and Brodick village. 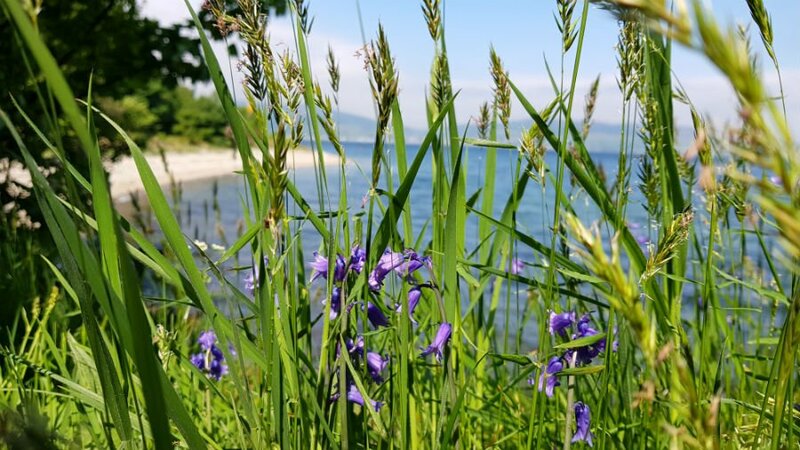 The Kinloch Hotel on the west coast is great for families. 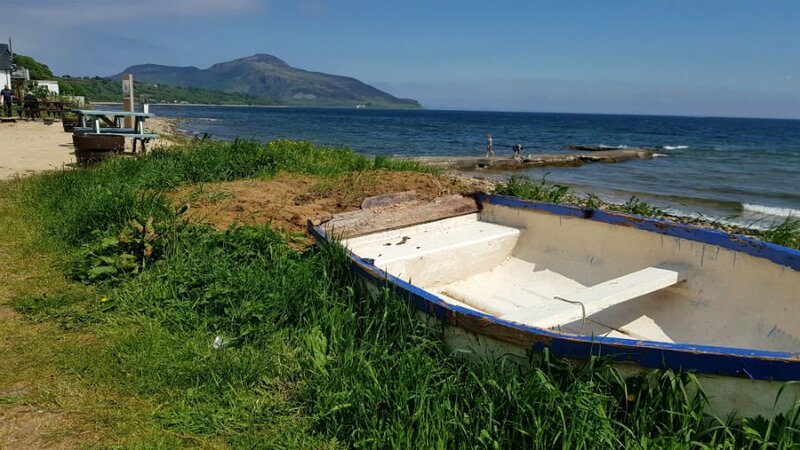 It is privately owned by the Crawford family who have had it for 60+ years, and is situated right on the shoreline of Blackwaterfoot on the west side of the island. 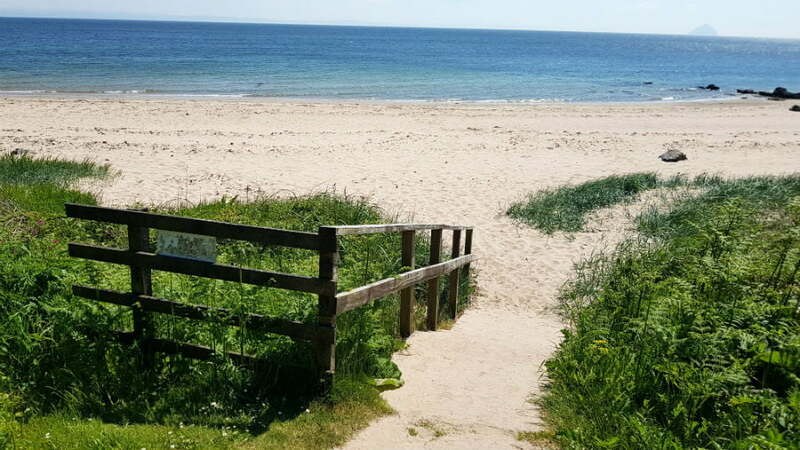 There is a lovely indoor swimming pool and hotel rooms with uninterrupted views of Kintyre and the beach. 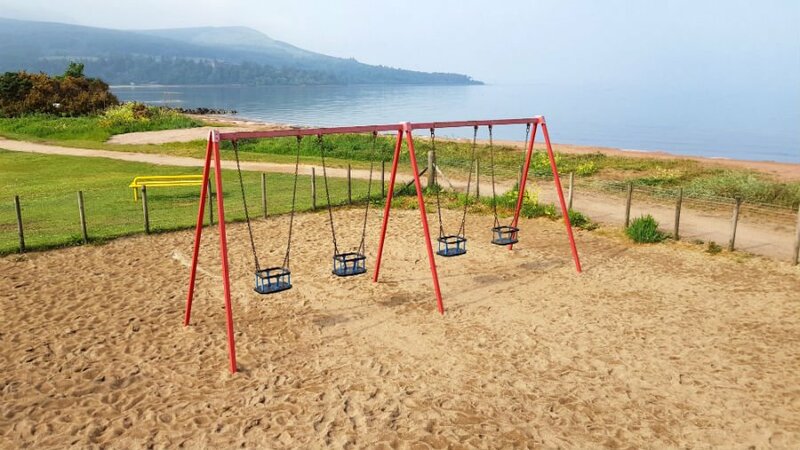 There is also a playground less than 5 minutes from the hotel! 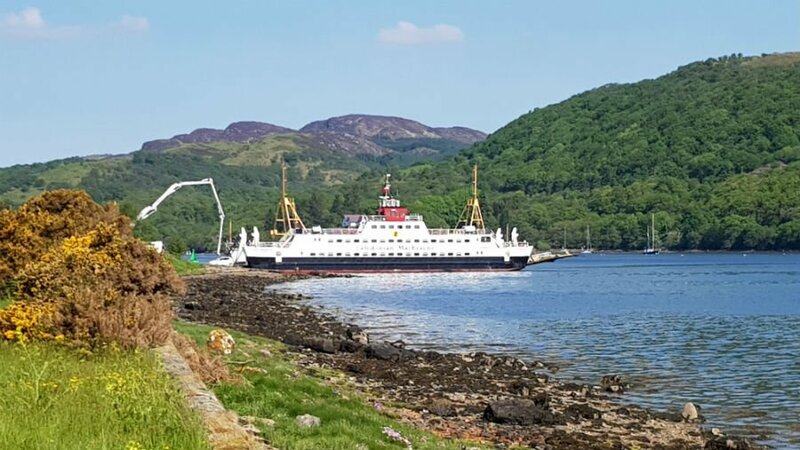 Top Tip – The Isle of Arran ferry gets busy during peak times so I’d advise booking in advance – especially if you are travelling by car. Don’t be put off eating in the ferry restaurant either! 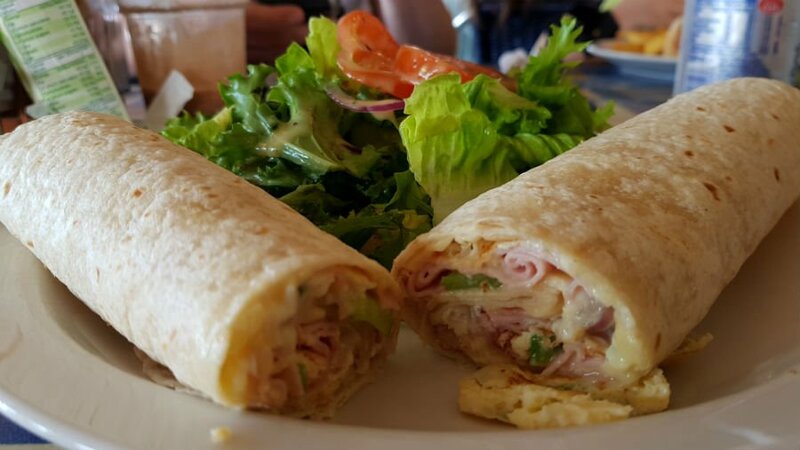 This is where the locals eat, as it serves good food at decent prices and has a kids menu. 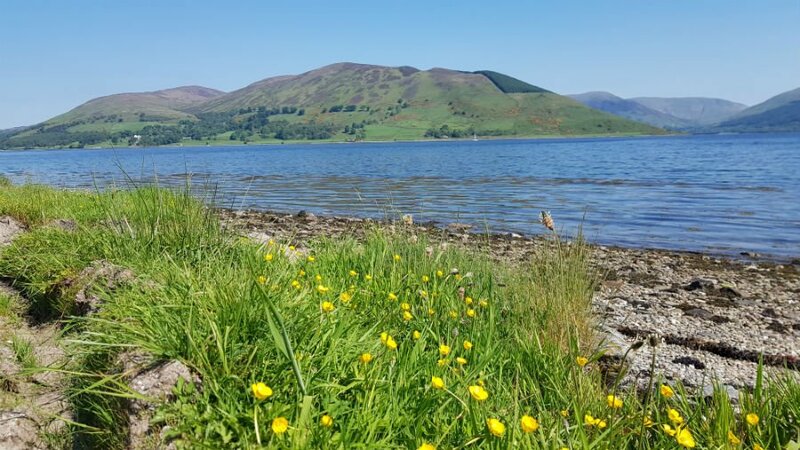 I’ll be honest, and confess that I didn’t know much about the Isle of Bute before we went. 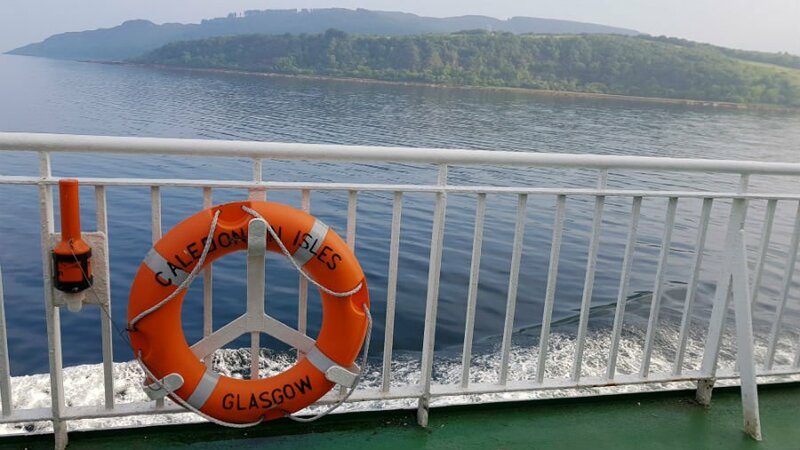 However, being another really accessible island from North Ayreshire meant it was just a 35 minute ferry crossing from Wemyss Bay to Rothesay on Bute so it is perfect for a day trip. 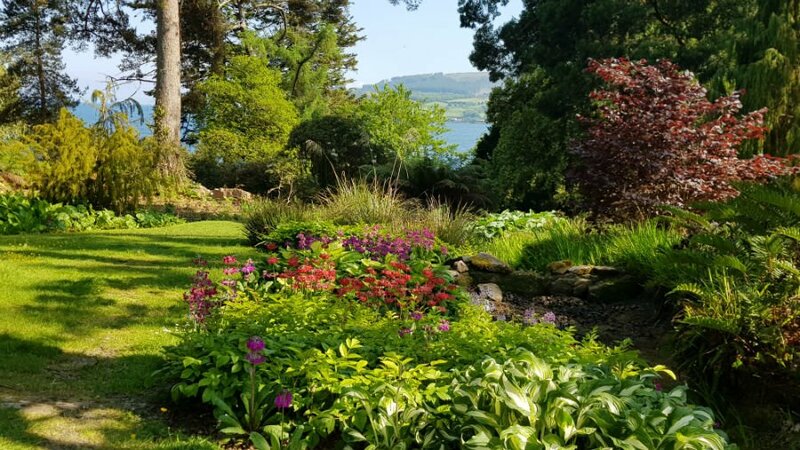 The island is only 15 miles long by 4 miles wide, but has its fair share of beaches, seals and famous gardens, including one of the main attractions – the unmissable Mount Stuart. 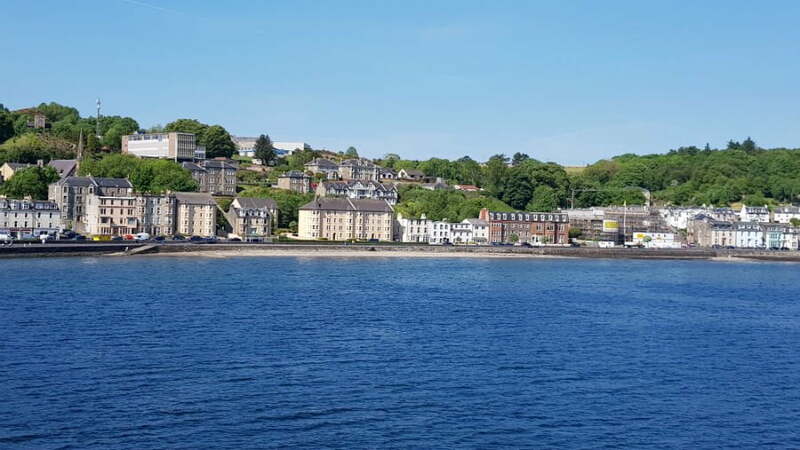 Ferries arrive into the main village of Rothesay on Bute. 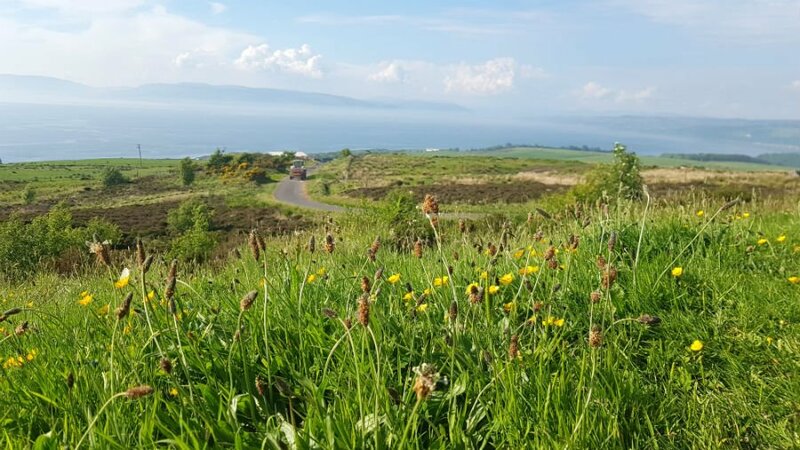 From here, you can head to the Visit Scotland Discovery Centre next to the ferry terminal to find out what activities and events are taking place on their island during your visit. 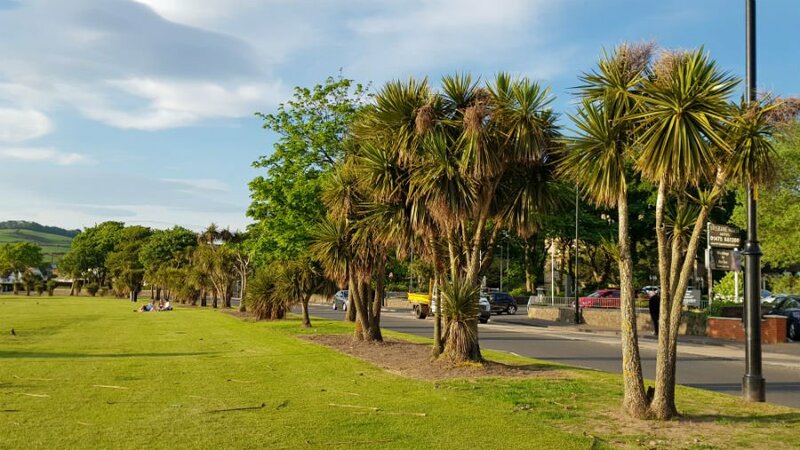 There is also a long promenade to walk along, and the Winter Gardens which have far reaching views over the bay towards the mainland. Again, we drove around the island of Bute stopping off along the way when we wanted. 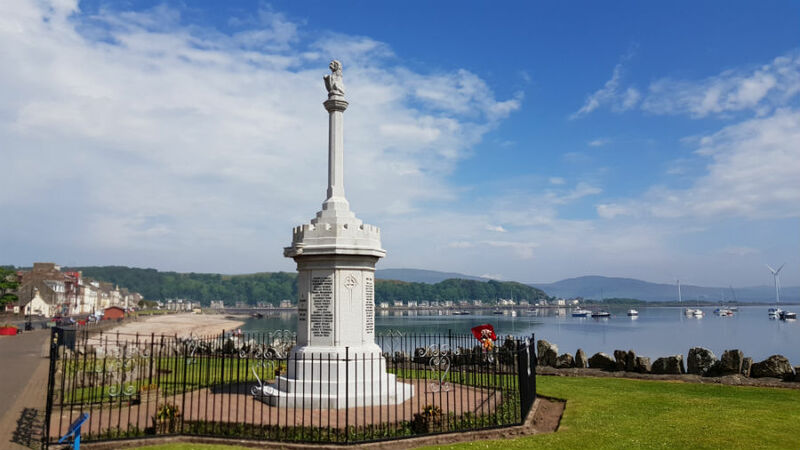 If I had to describe Bute in one word, I would say ‘peaceful’. 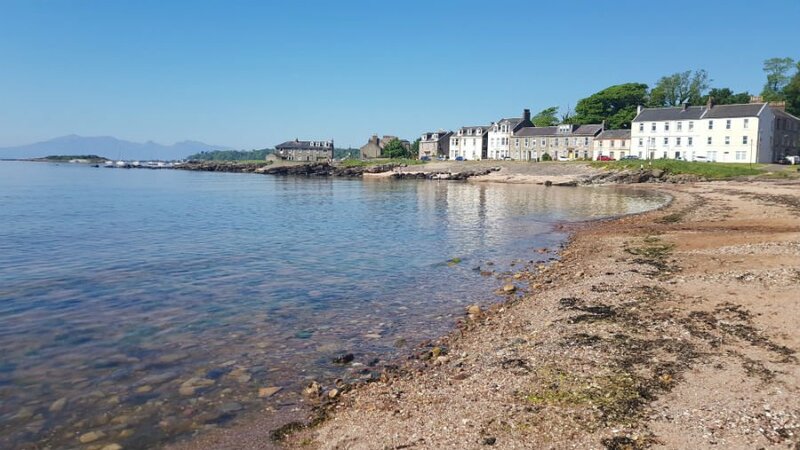 The silence at some of the deserted bays and beaches is deafening, and often the only thing you can hear is the gentle lapping of the waves against the rocks by your feet, and the distant calls of some of the seabirds which call Bute their home. A short drive up the coast road from Rothesay takes you past Port Bannatyne, which its pretty marina. If you keep going along the coastal road, you will soon get to Rhubodach where the road ends, and you can see a Calmac ferry doing a short hop of just 350m from Rhubodach to Colltraive on the mainland. This journey takes 5 minutes, and the ferry which does this crossing is surprisingly big considering the short length of the crossing. If your toddler likes boats and ferries, they will like seeing this! Keep your eyes peeled across the water as you may also see a Navy warship nestling into one of the bays at the other side of the water. We saw quite a few Navy vessels around Bute when we were there. If the weather is nice, you will want to hit the beach. 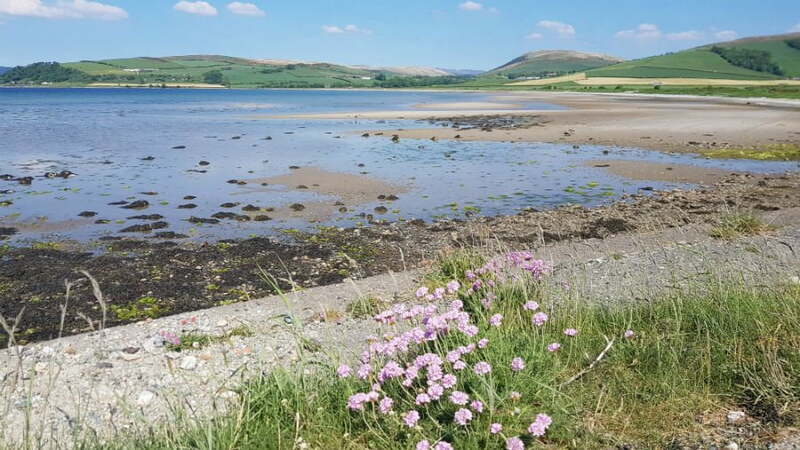 One of the best beaches on the island is at Ettrick Bay on the west side of the island. 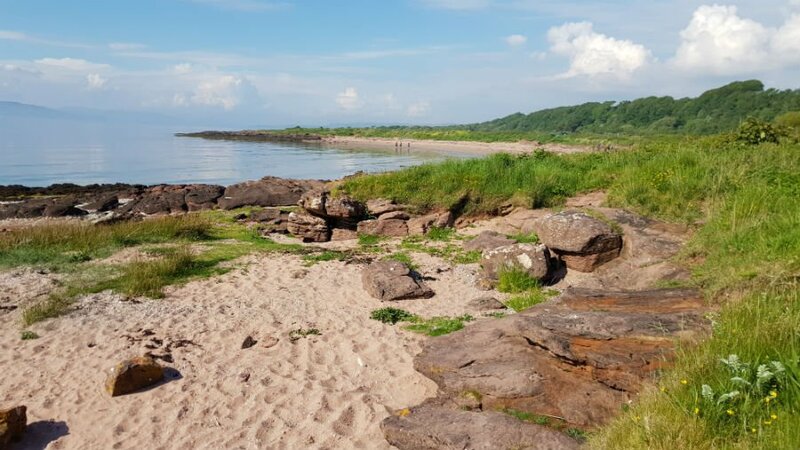 This beach is a mixture of sand and pebbles and is about a mile long with views over neighbouring Arran. The water is crystal clear so it is a good spot for paddling, although I’d make sure you bring flip flops / crocs for your little one to wear as it is a bit pebbly. 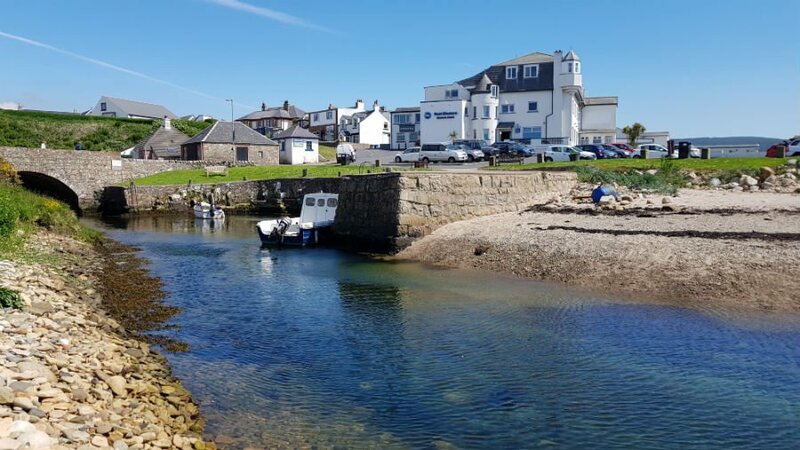 There is a car park at the beach, as well as the Ettrick Bay Tea Room which serves light meals, snacks and cakes – all with a Canadian twist! 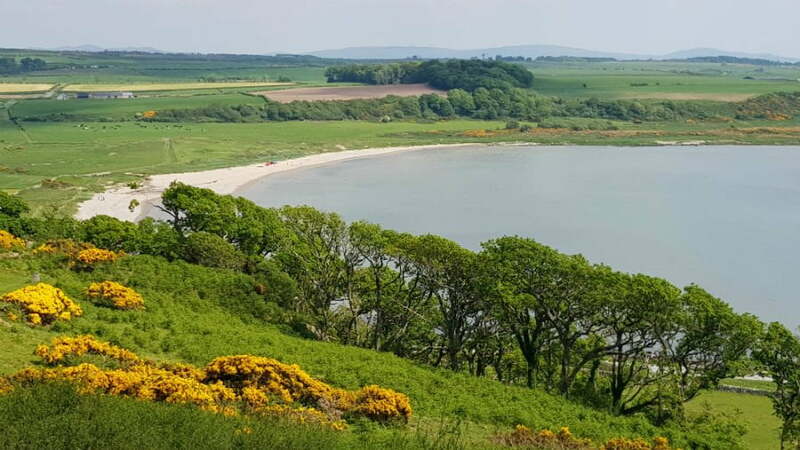 The next bay to check out on your tour of Bute should be St Ninian’s Bay. 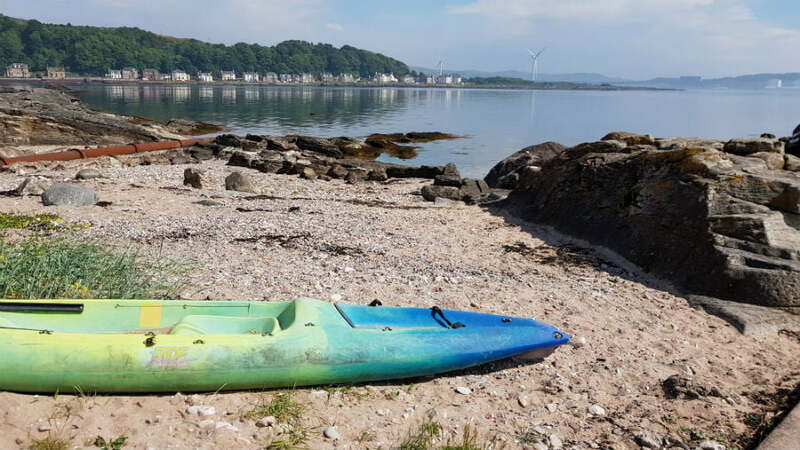 There aren’t any facilities at St Ninian’s Bay, but when the tide is in, this is a really shallow and sheltered bay which is good for paddling. The water is crystal clear so it is also a good place for rock pooling or seeing what you catch in your fishing net. 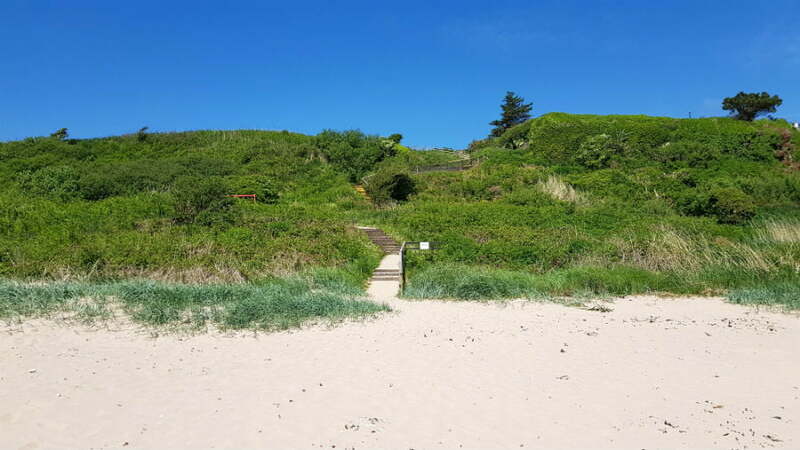 The beach is really quiet so you are likely to have it to yourself too! Scalpsie Bay on the west coast is a secluded bay which you can walk to from the road. But one of the best things about Scalpsie Bay is the opportunity to spot the seals which like to hang out around this Bay. 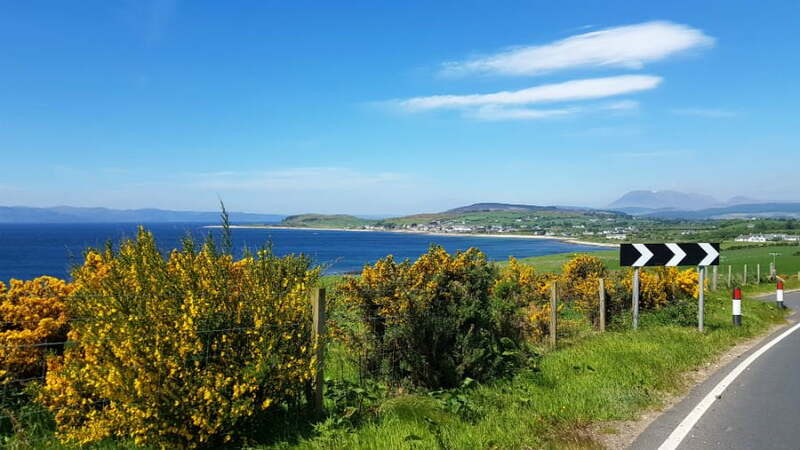 There are 2 good viewpoints where you can see the seals; one is high up above the road and gives you panoramic views of the Bay, seals sunbathing on the rocks and over to Arran, and the other is a dedicated Seal View viewpoint where you can see the seals close up on their rocks. 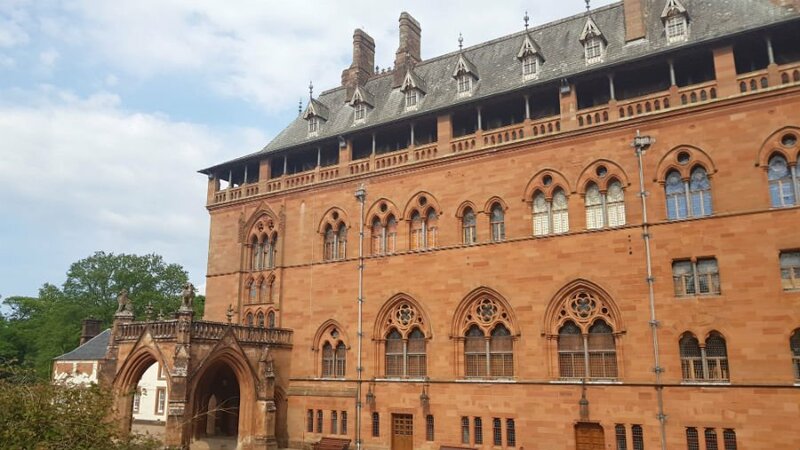 Mount Stuart, on the east side of Bute, is one of the most impressive stately homes in Scotland. We didn’t go in the house as we were short on time, but the gardens were equally striking. 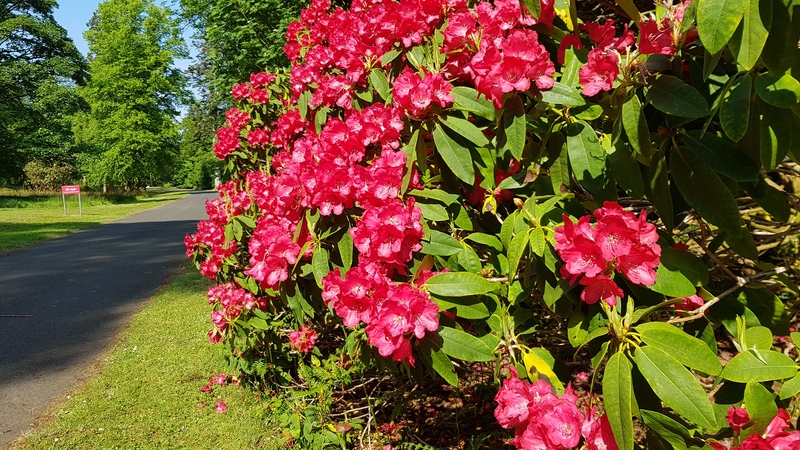 There are over 300 acres of gardens to explore including woodland walks, and Mount Stuart even has its very own beach. 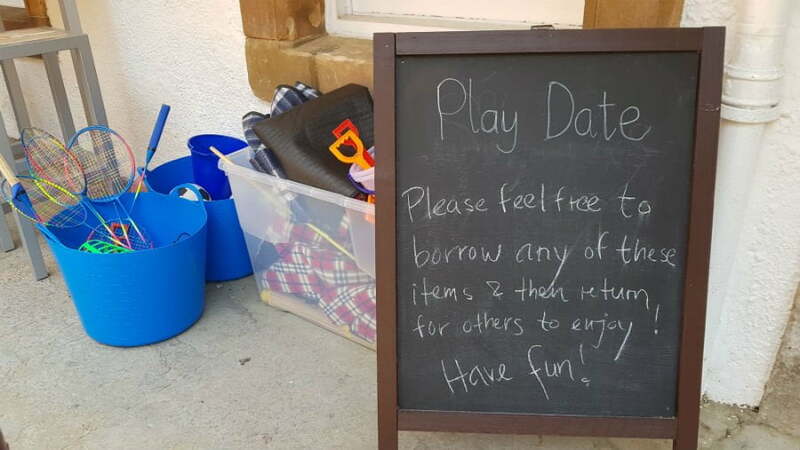 There is even a basket of bucket and spades, footballs, beach toys and fishing nets in the tea room for families to borrow when they go to the beach. The Bute Kitchen is the name of the café at Mount Stuart which sells a range of locally sourced food and ice creams. It is definitely worth a visit! Top Tip – It is a long walk from the car park to the car, so consider bringing your buggy if you think your little one’s legs will get tired! Ardencraig House Apartments are five apartments located in a converted Georgian property, with views of the Firth of Clyde islands. They are 5 minutes walk from the beach, and have free WIFI and a garden. 1 and 2 bedroom apartments are available. 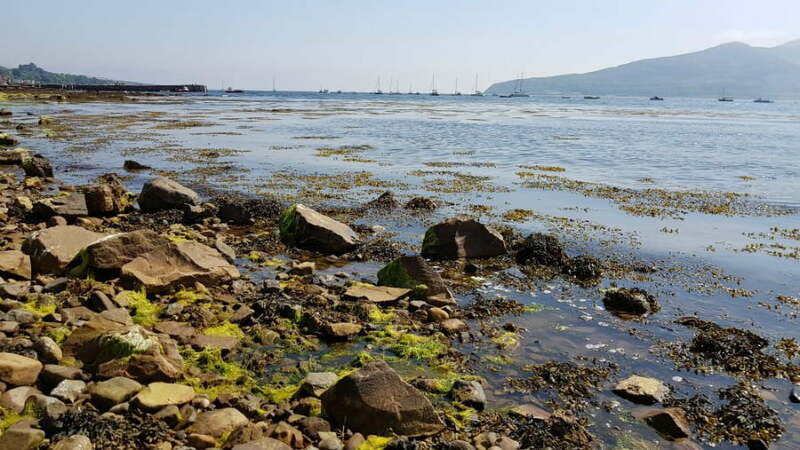 Last, but certainly not least, is the isle of Cumbrae – also known as Greater Cumbrae. 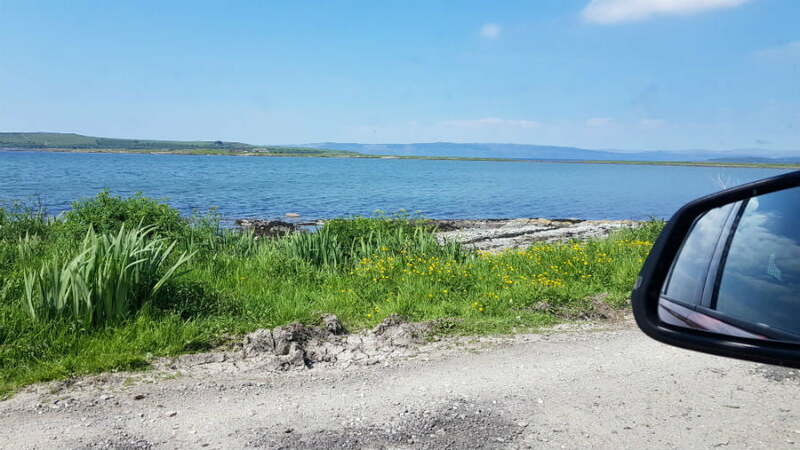 This little island is just a 10 minute crossing from the seaside town of Largs and is 4 miles long by 2 miles wide. 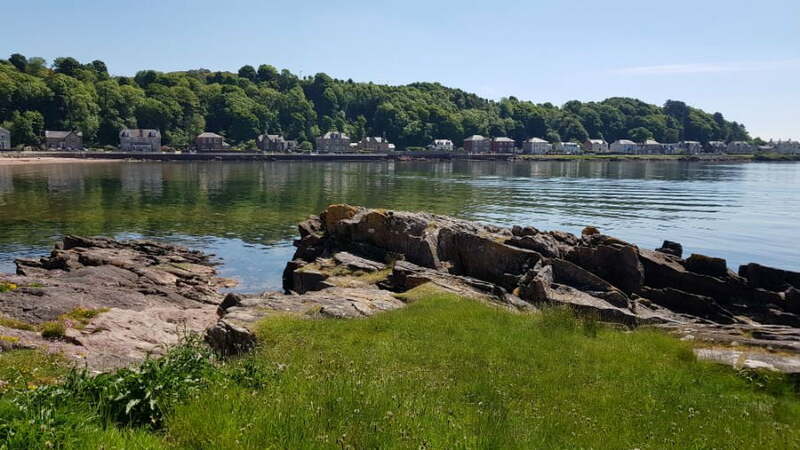 There are so many reasons to go to Cumbrae! 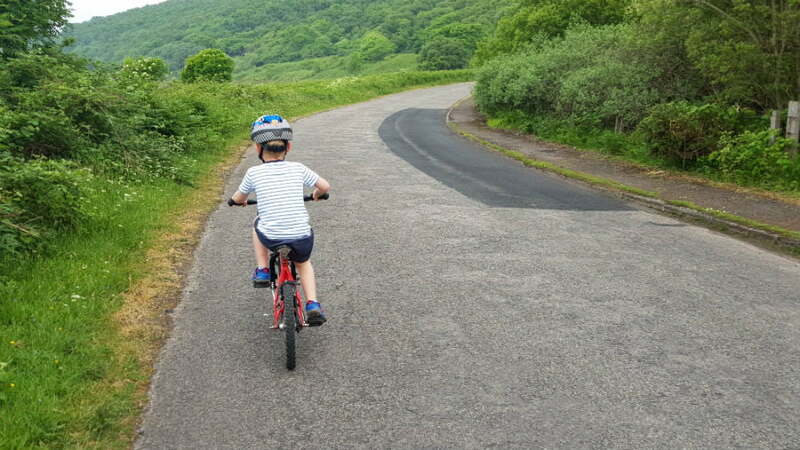 Firstly, the island is small and flat, so cycling is an ideal way to get around. 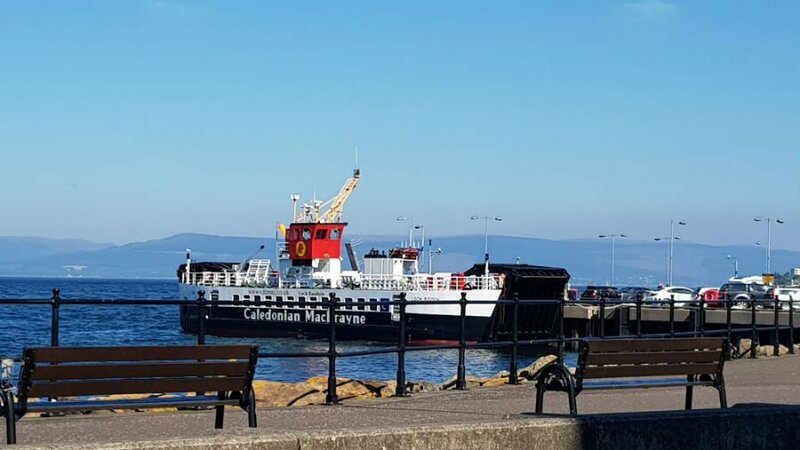 Foot passengers can get the ferry and then catch the bus to the main village of Millport, where bike hire (including baby seats) is available from Mapes of Millport. 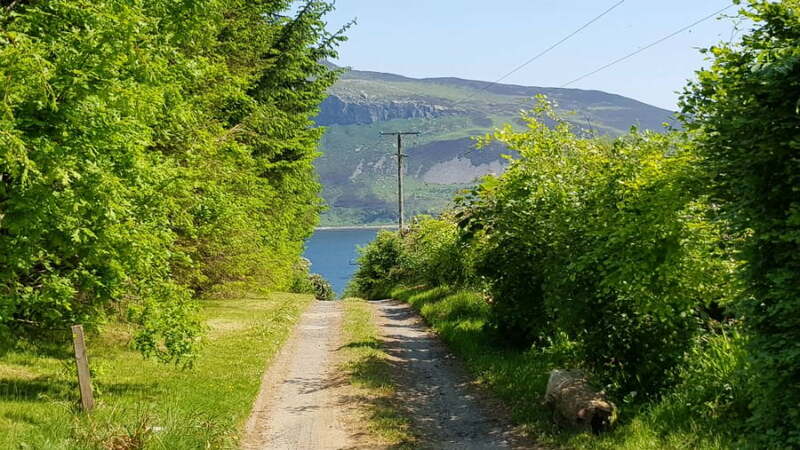 There is an island loop which is 10 miles long along quiet roads, which is a great way of seeing the island and neighbouring islands in the distance. 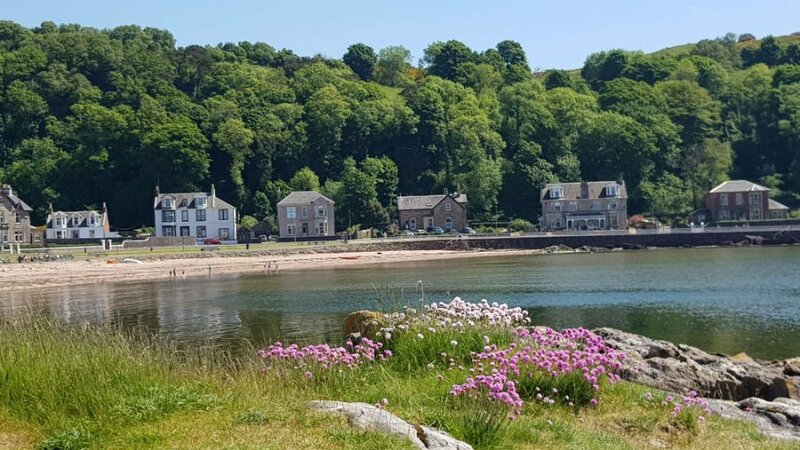 Another reason to go to Cumbrae is to spend time in Millport. 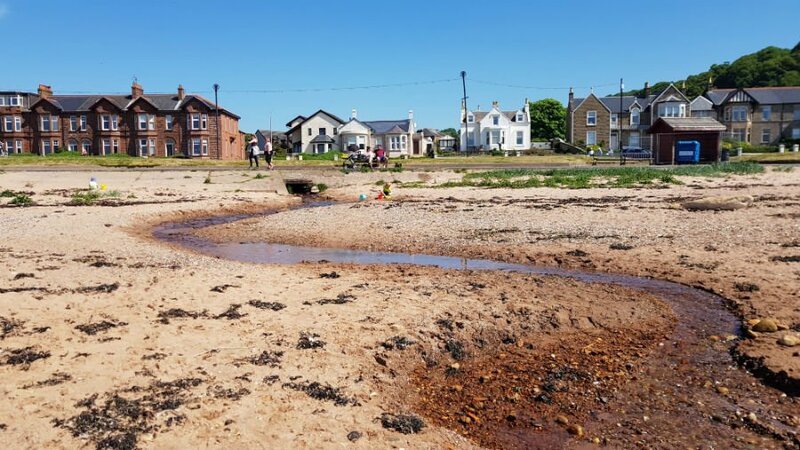 This is the main settlement on the island and has a long sandy beach, promenade, shops, amusements and some rides including swing boats, trampolines and mini golf. 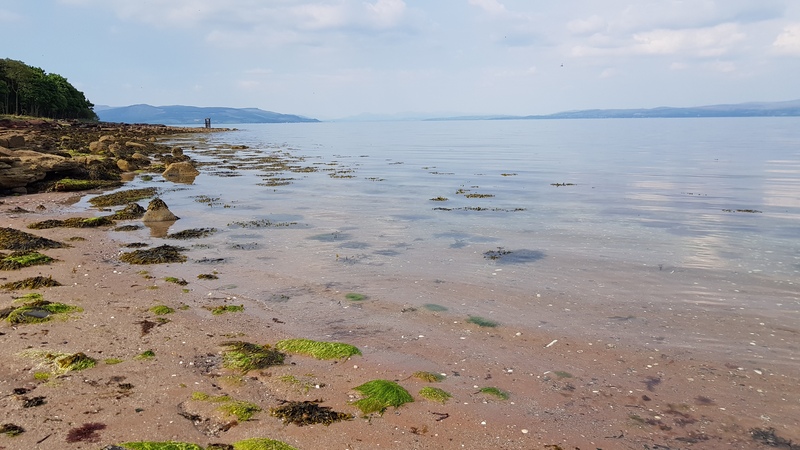 The beaches on Cumbrae are clean and safe with the Newton beach again this year been awarded a safe beach award. 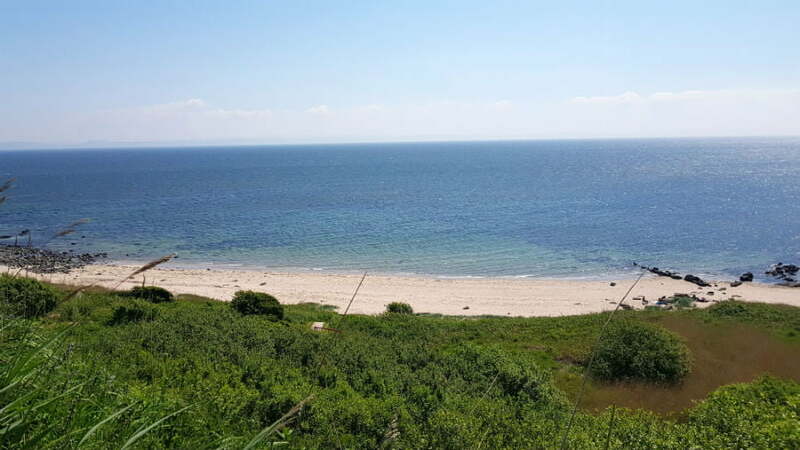 There are many small coves around the island ideal for picnics and there are two childrens playparks. 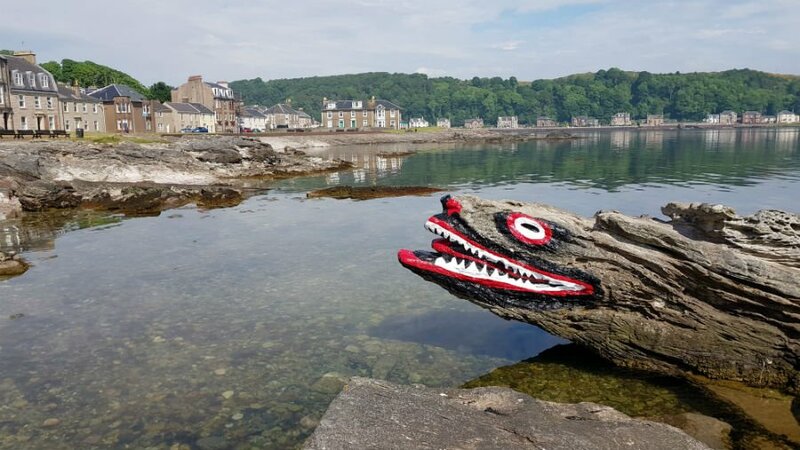 Millport is also the home of the imaginatively named ‘Crocodile Rock’. No one really knows when the Crocodile themed rock appeared, but children love climbing on him and on the surrounding rocks. It is a great place for rockpooling too! Don’t Miss – Driving / Walking up to the top of the Glaid Stone, the highest point on the island. 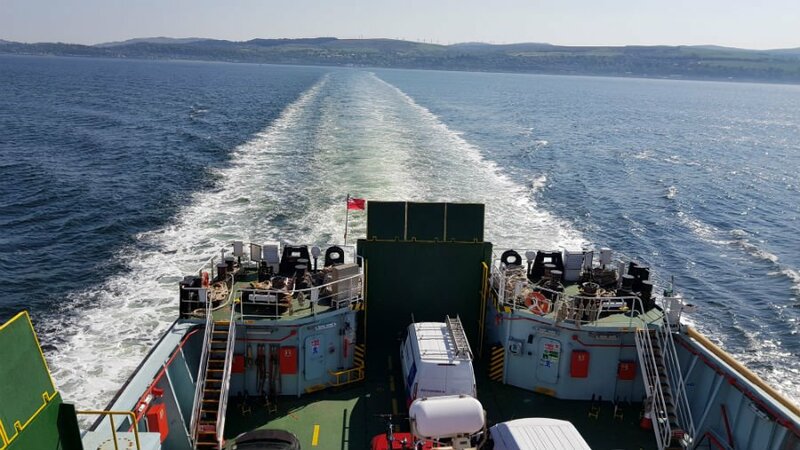 You will be rewarded with breathtaking views over to Largs, Arran and Little Cumbrae – definitely one for a clear day! 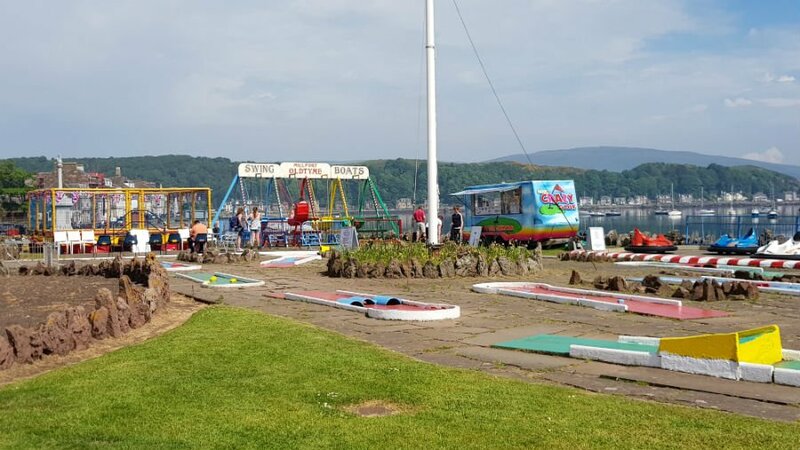 Top Tip – When you get back to Largs after a day on Cumbrae, make sure you save some space for an ice cream from the famous ice cream parlour, Nardinis. This Scottish institution has been making ice cream since 1935, and has over 32 flavours to choose from. Pizzas at the adjacent restaurant, Tony Macaroni’s, are also good too! 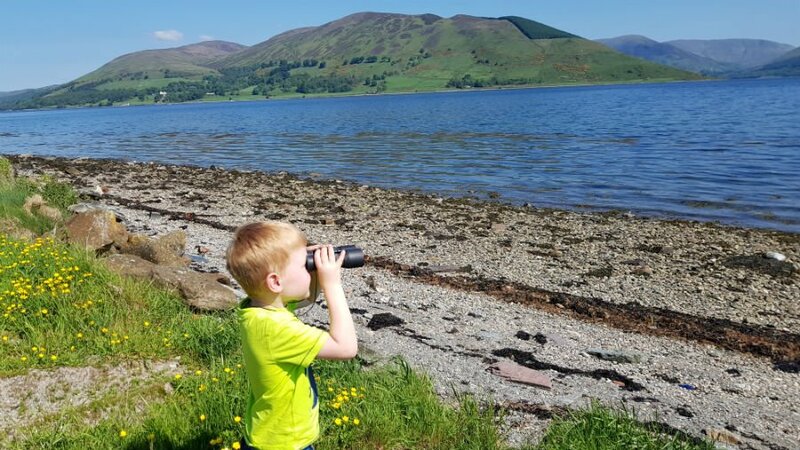 So there it is – 3 magical islands in Scotland which are perfect for toddlers! We can’t wait to go back and explore more of Scotlands’s islands!